Congratulations to the latest graduates of peace camp offered annually by A Peace of Life in partnership with AEBR Youth! The most poignant and meaningful activity of Peace Camp 2012 was the day we visited the Kigali Genocide Memorial Centre (pictured above). It was a time to renew our commitment to work together to be a source of peace, hope and love in our world. After this deeply emotional day youth were encouraged to write reflections on their visit. We look forward to sharing some of their thoughts and writings in future blog postings. 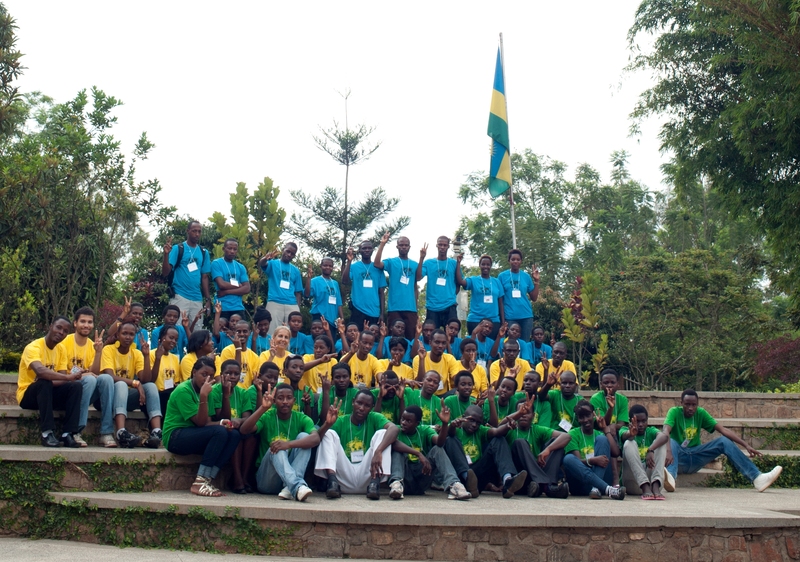 Peace Camp 2012 brought together over 60 youth and camp leaders from across Rwanda as well as a team of youth leaders from neighbouring DR Congo and volunteers from Canada and Kenya. We enjoyed a jam-packed six days of interactive learning on conflict and conflict transformation, peer to peer counselling basics in mental health and trauma, art therapy, character development for radio scripts, and self-help group basics. Our training involved a variety of hands-on-learning and games – including our very own peace olympics which featured team relays and challenges as well as an arts category with spoken word (peace poems) and dance presentations. 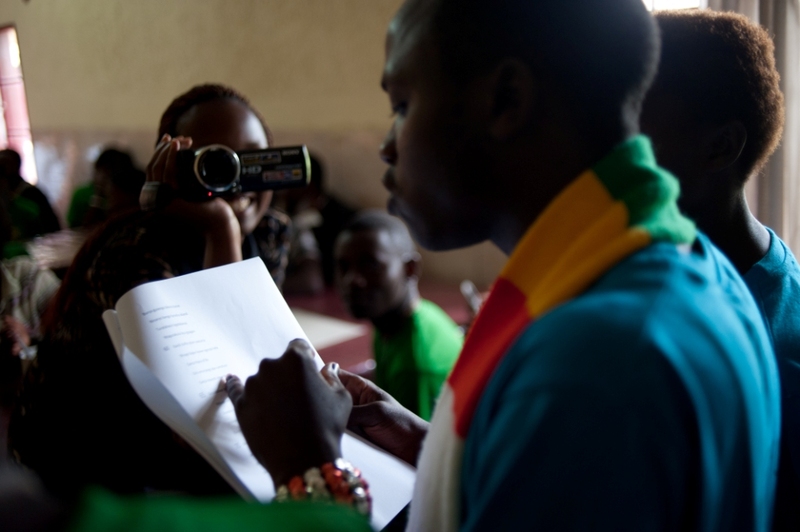 Pictured: Dydine, one of our volunteer directors in Rwanda, was our “filmmaker in residence” at camp, capturing activities such as this peace poem performed on the last day of camp. 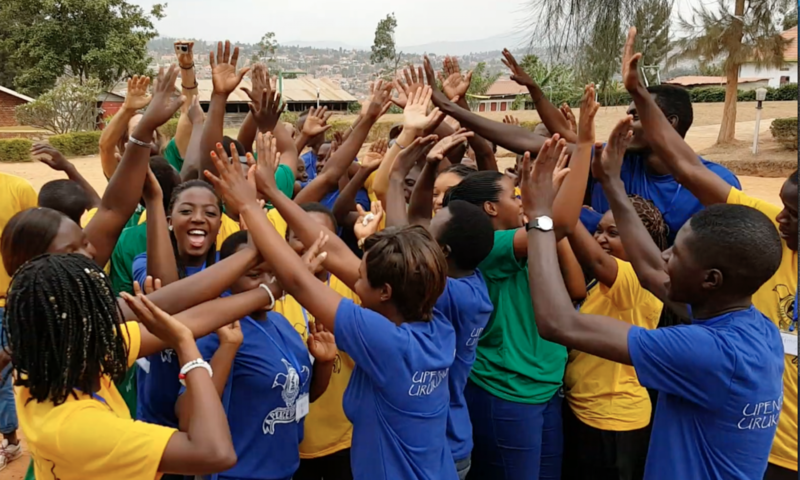 Dydine is one of Rwanda’s up-and-coming talents and has started an organization, Umbrella Cinema Promoters, to empower and encourage more female participation in the film industry. We look forward to seeing more of her work and will be uploading some short clips on our YouTube channel in the coming months. Popular night activities (besides staying up late in the dorms to talk!) included campfire night. 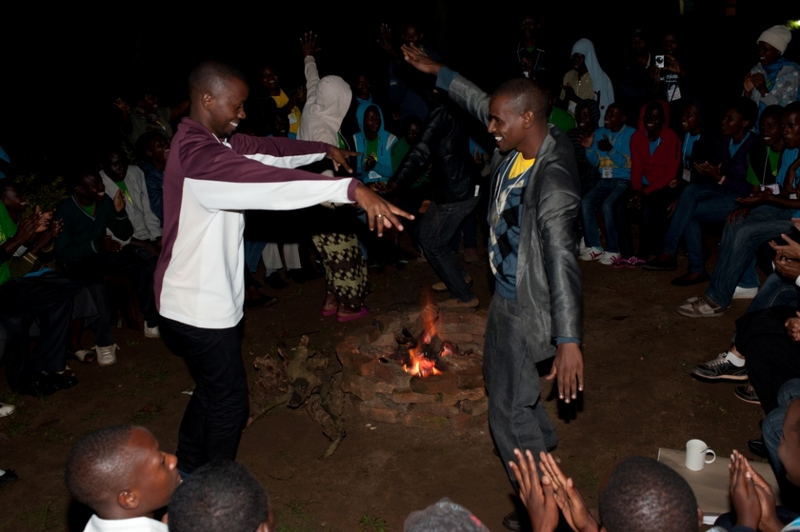 Pictured left to right: Michel, our camp co-director, teaches William, our Kenyan volunteer, some Rwandan dance moves to the delight of campers. 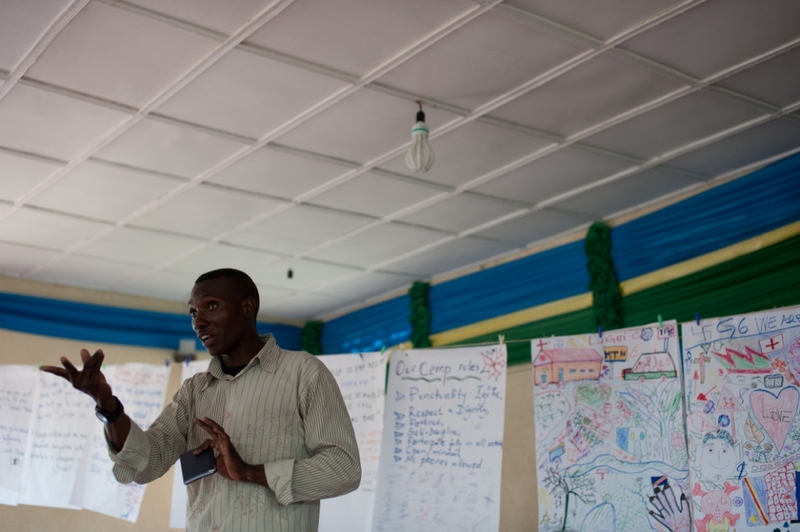 William also led a workshop on starting a self help group and shared some of his personal peace-building experience which includes food security and development in one of the most violent-prone and drought-striken regions of Kenya. Another special night was the screening, in our makeshift outdoor theatre, of the latest short film, “Behind the Word,” by Clementine Dusabejambo, one of Rwanda’s rising stars in the film industry. She was on hand with other filmmakers of Almond Tree Films to answer questions and encourage youth to pursue their dreams and potential in the arts. There’s so much more to report on from peace camp 2012, but that will have to wait till next month’s posting. Thanks so much to all of our donors and volunteers for making this event possible. You are terrific! p.s. Check out a great instagram series (compliments of our Canadian volunteer John Zondo) of photos of daily camp life and catch up on current news via our facebook page.